In a five-year medical study, the Singapore Health Polyclinics Department of Pharmacy found a striking result. Their findings simultaneously foretell a looming crisis for the tiny nation, and a possible solution. The study followed approximately 300 patients who were prescribed medications to treat a variety of conditions. When the patients initially received their prescriptions, up to 80 percent of them were non-adherent, failing to comply with the treatment directions. However, as researchers followed up with the patients to ask them why, the adherence rate increased by 37 percent. Just the simple act of being asked had a dramatic effect on improving adherence. Medication non-adherence is a growing problem in all corners of the world, perhaps most notably in the United States. But it’s especially acute in Singapore. It’s small population of 5 million people must bear the cost of the city-state’s healthcare system. It’s a system that’s seeing growing costs, with little relief in sight. As an example, Singapore’s government spends approximately $40 billion each year to care for the aging population, with a major portion of that going to healthcare costs. Right now, about one in every eight people in Singapore are over the age of 65. But that number is projected to increase significantly. The over-65 population is projected to increase to 25 percent of the population, doubling the current figure, and the costs to care for them is expected to top $100 billion. That’s $20,000 that every man, woman and child in Singapore must pay, just to care for the aging. With healthcare accounting for a large percentage of that, it’s clear that medication adherence and accurate spending is crucial to the future of the nation. 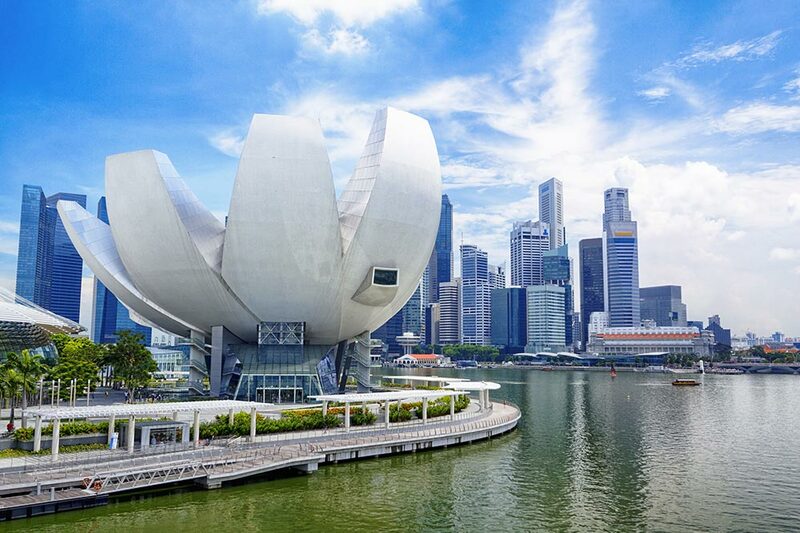 Singapore is unique in the world, due to its cultural diversity. A world economic center, it attracts people from all over the world, particularly India and Asia, as well as Europe and North America. Curiously, the cultural differences of the population may be at the heart of the medication adherence problem. People from certain cultural backgrounds often prefer doctors and other healthcare providers with similar backgrounds. This stems from a perception that only providers who are like them can understand their medical needs. Of course, it is often very difficult for patients to find exactly the providers they want. As a result, communication gaps are frequent, and patients get home from doctor appointments not fully understanding their treatments. With appointments so hard to come by, medication non-adherence is the natural outcome, followed by rising costs and increasing inefficiencies in the healthcare system. It’s a looming crisis for Singapore, but clues for the solution may have been revealed through the Singapore Health Polyclinics research. Simple communication could be the answer. As the Singapore Health Polyclinics research showed, the simple act of asking patients about their medication increased adherence. The implication is that more intentional communication, aimed at understanding patients’ behaviors, monitoring their results, and allowing them to ask questions, would yield even greater increases in adherence. Of course, that’s not practical. There are simply not enough healthcare providers, nor enough hours in the day, to contact patients individually on an ongoing basis. But that’s where technology, and Virtual Care systems like LIVIT, hold the promise of helping to increase adherence. LIVIT is designed to connect patients to caregivers on an ongoing, real-time basis. The first iterations of the system allowed providers to track medication consumption for all their patients, alerting them to gaps and anomalies that might signify adherence issues. It also provided for simpler communication between patients and providers on an as-needed basis. The text messaging capabilities were created to allow patients and providers to have an ongoing dialog without the hassle of scheduling appointments for office visits. New features are now being added to the LIVIT Virtual Care system that will make this communication even more effective. Imaging capabilities, for example, will allow patients to share physical symptoms with doctors digitally. New form factors being developed for the LIVIT system will also allow providers to monitor patient vital signs, so they can see the effects of treatments in real time. Together, all of these features promise to open new communication channels between healthcare providers and patients. Communication which can lead to higher levels of medication adherence, and therefore less overall waste in the healthcare system in places like Singapore.